I have tried and tried and I simply cannot figure out this urban mystery. It all started with a simple proposition: in the city of the horse, where did neighbors go for the occasional rental, or to house their beasts between uses? 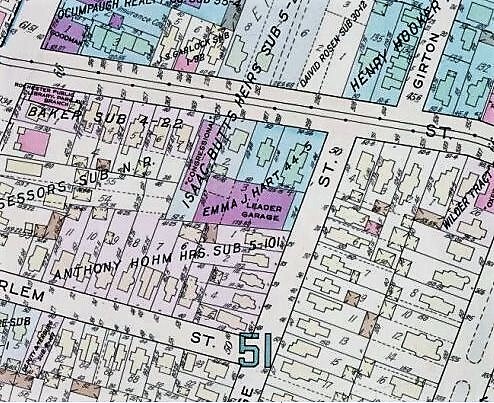 Did every neighborhood have a stable or livery of some kind? Only the really wealthy ones (but didn’t the wealthy usually have their own stables)? Did it cost a lot to gain use of a horse for an important junket to, say, Batavia? Years ago, I asked a colleague, a historian of American cities and technology, to explain the city of the horse to me. What was it like? I asked. She told me via a reading list she proffered. And not surprisingly, the story is not too terrific. Mountains of manure, sick animals, noisy, smelly – it became easy to imagine that urbanites were very grateful when Frank Sprague finally invented the electric streetcar (in 1888). But in our neighborhood, or in other city locales here, I have searched and searched for the local liveries. No luck. I still can’t figure out how this worked. I have looked at plat maps for our neighborhood all the way back and – nothing. Where the heck were all those horses when they weren’t on the street? 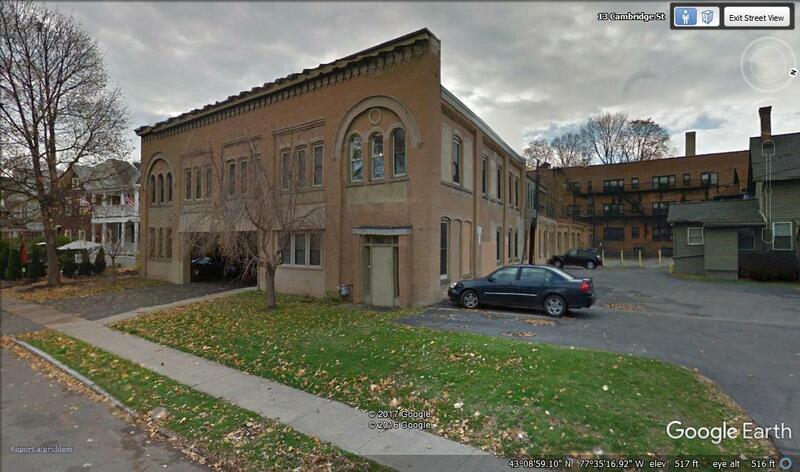 (Note here that Cambridge Street is literally just around the corner from Park Avenue. Park Avenue was where the streetcar ran, starting in around 1890. The streetcar was aligned on Park because the wealthiest Rochesterians, who lived a block away on East Avenue, did not want the trolley in front of their homes). 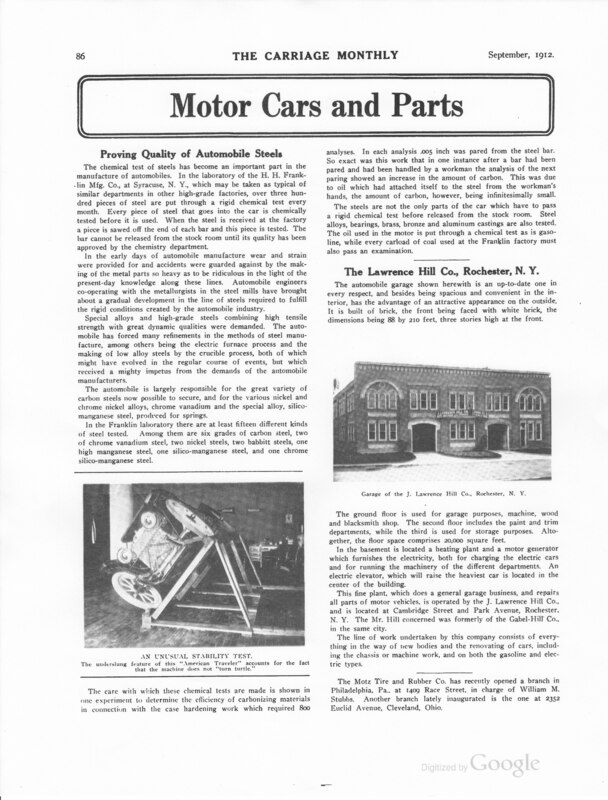 What I have found, which is pretty interesting and worth relating, are local garages, and the story of how the automobile bedded down in our lives in its infancy, quickly supplanting its four-legged predecessor. Let’s pursue that, since the horse mystery remains unsolved. 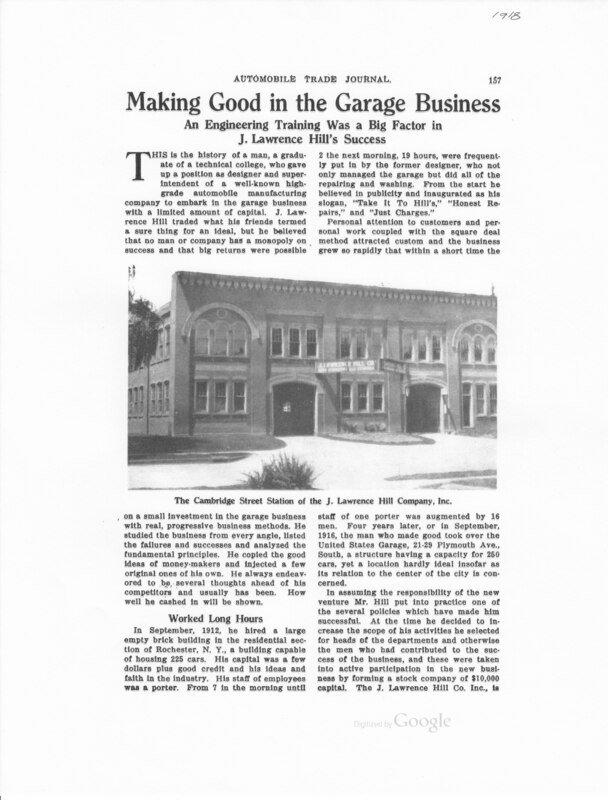 In a wonderful article in the Automobile Trade Journal of December, 1918, we learn the story of a man called J. Lawrence Hill, and his Cambridge Street Garage, at 19-23 Cambridge Street. He rented Cambridge Street in September of 1912, announced in The Carriage Monthly of that year. We might call Mr. Hill a visionary: in 1912, there were 900,000 cars in the entire U.S., and just 4,000 cars here in Rochester. By 1922, there were 40,500 cars here, and 10,700,000 cars in the U.S. His crystal ball was completely dialed in. 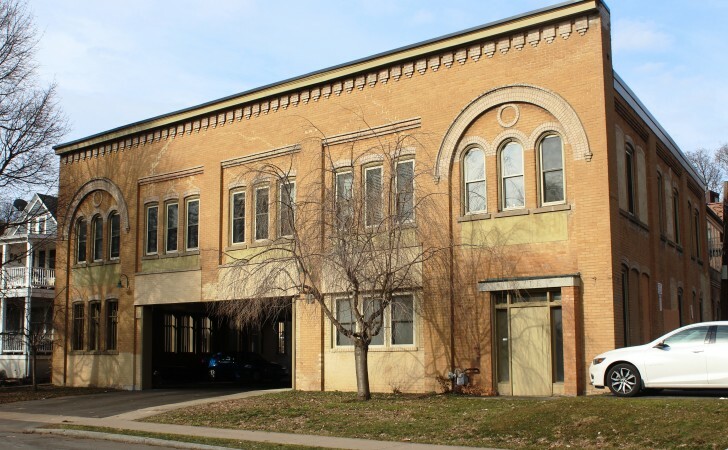 In fact, in 1916 Mr. Hill created a second garage, on Plymouth Avenue, allowing him to service 250 cars there, in addition to the 225 cars he could care for on Cambridge. 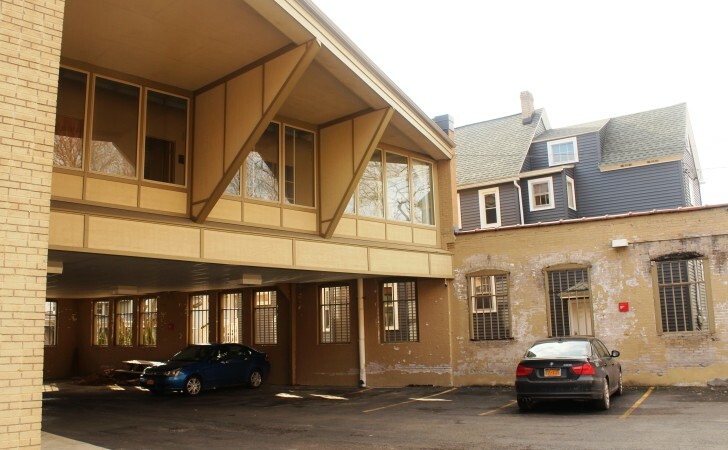 One of the things that Mr. Hill clearly understood was that the car was, at that time and for the next decade or so, the province of the wealthy, and as we have learned, the wealthiest of the Rochester wealthy were only a block away. Mr. Hill’s garages were all about service. You could “store” your car – his word – for the evening for 25 cents, or for 50 cents for the day. He had five departments: electrical (there were a lot of electric cars in those days) accessory, repair, garage, and battery. He had two “service units,” trucks used for emergency repair and service, available 24 hours a day. 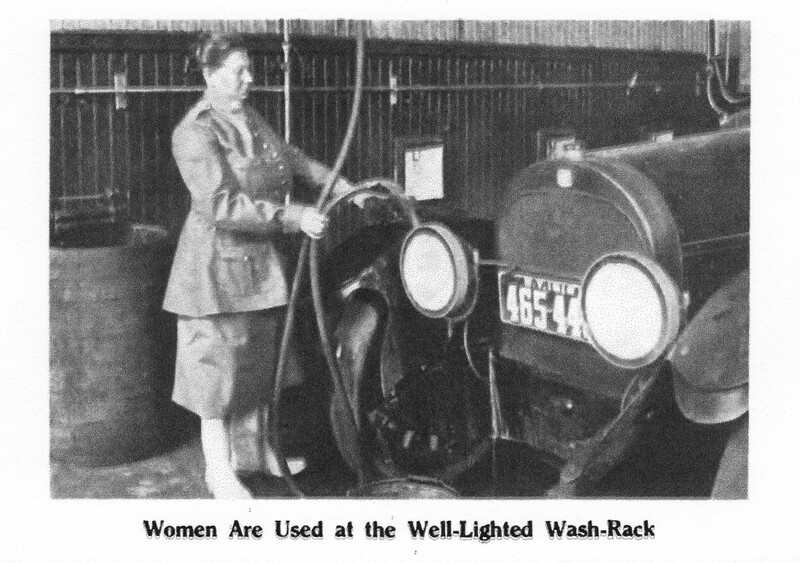 He invented all manner of record keeping methods to keep track of his customers and their needs, he built a giant facility for “freshening” the batteries of electric cars, and his “Well-lighted Wash-Rack” was staffed solely by women. And he allowed NO TIPPING of any kind – compromises the fair and excellent service he said. 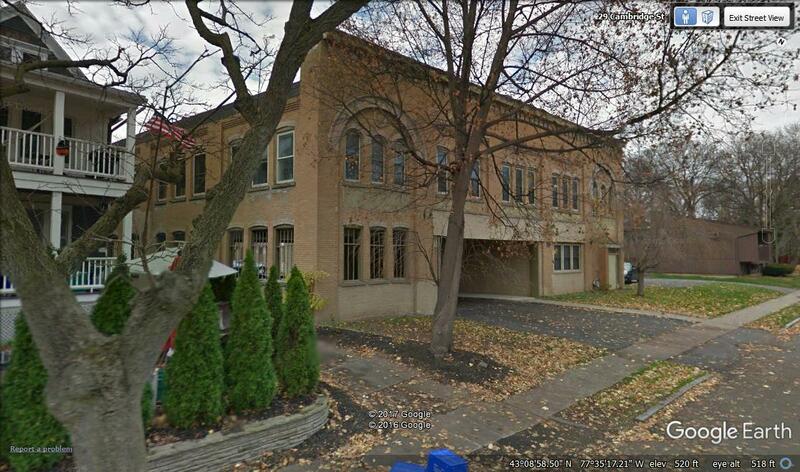 Mr. Hill stayed on at Cambridge Street until 1919. In 1920, the place was taken over by George Leader – The Leader Garage – and he stayed with it until at least 1935, as you can see from the plat map below. 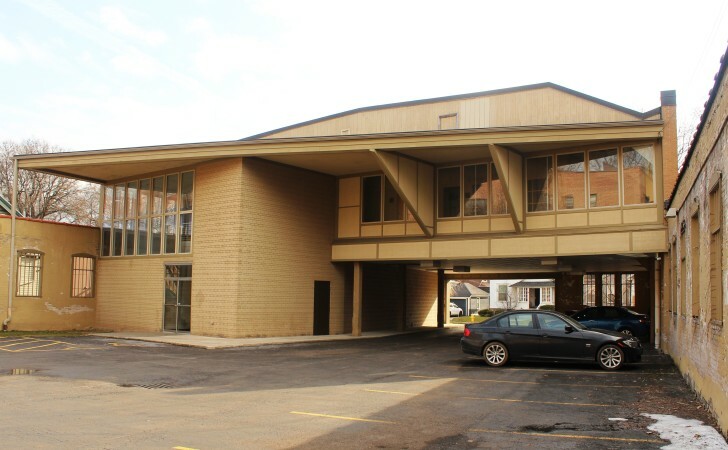 Much more recently – in 2000 to be exact – the Pardi Partnership took over the property, opened up the roofed parking area, restored the building enfronting Cambridge, and created office and commercial space. So the narrative is still all here. 19 – 23 Cambridge today. Image from the Pardi Partnership. Inside the renovated garage, above and below. Except for one small detail: in the city of the horse, where were the neighborhood stables? One of you will tell me, I am sure.